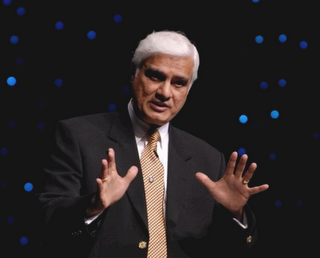 The Henry Center is sponsoring a special event with global evangelist Ravi Zacharias on Monday, April 12, from 2:30pm-4pm in ATO Chapel on the TEDS campus. Entitled “Apologetics Beyond the Pew: A Conversation for the Church with Ravi Zacharias and Friends”, the event will cover how Christians can carry out faithful apologetics beyond the walls of the church building. Zacharias will be joined by Scott Chapman of The Chapel (Grayslake) and John Njoroge of RZIM. President Craig Williford of TIU will give opening remarks. The entire TIU community, with the general public, is invited to this free event. It will be webcasted live for an international audience at http://tiuproductions.com/livestream/. The Henry Center is glad to sponsor this event, which comes on the heels of a special service at 11am of the same day announcing the formation of a special partnership between TIU and RZIM.